Why, for most who enter it, does management present so many surprising hurdles and frustrate so many preconceptions and expectations? Progress will come more quickly and easily to those who understand the challenges they face. The answer has two parts, based on research we and others have done, our own observations, and our personal experience. First, management is different from anything you’ve done before. Becoming an effective manager is difficult because of the great gulf that separates the work of management from the work of individual performers. Many managers think at first that managing others will be an extension of managing themselves. They assume they will be doing what they did previously, except they will exercise more control over their work and the work of others. Instead, they find they must make a great leap into a new and strange universe unlike anything they’ve encountered before. This is especially true if you’re a producing manager who must combine the roles of individual contributor and manager. At first, you naturally tend to think the managerial role is simply a broader version of managing yourself. Only with time and painful experience will you discover it’s totally different. Second, becoming an effective manager requires that you not only acquire new skills and knowledge but also undergo difficult personal change. Those who become managers must learn to see themselves and their work differently. They must develop new values, deeper self-awareness, increased emotional maturity, and the ability to exercise wise judgment. Many managers, for example, are accused of being control freaks because they don’t delegate. But a desire for control often isn’t the problem. Instead, it’s an issue of identity. They haven’t yet changed how they think about themselves and their contribution, the value they add as managers. They resist giving up the role of doer because they believe, if only unconsciously, that’s who they are. They have not learned to see themselves as the boss. In fact, becoming a manager requires so much personal learning and change that it is truly a transformation, akin to the transformations required by such life events as leaving home, finishing school and beginning a career, getting married, or having a child. Like these profound inflection points, becoming an effective manager will call on you to act, think, and feel in new ways; discover new sources of satisfaction; and relinquish old, comfortable, but now outmoded roles and self-perceptions. It requires you to consider anew the questions: Who am I? What do I want? What value do I add? Such a transformation cannot occur overnight. It takes so much time and effort that it’s helpful to think of it as a journey. The changes are so deep and personal that they require time to take root, usually years. And they cannot be taught. You and every other manager must make them yourself, based on your own experience as a boss. You make progress on your journey as you learn and change, step-by-step. Where are you on your journey? How far must you go to become a fully effective manager? Unfortunately, most managers begin to make progress, but many — perhaps most — fail to complete their journeys. They stop short of acquiring the necessary skills, knowledge, values, outlook, self-knowledge, judgment, and emotional competence. Every organization has its ways of doing things — rules of thumb, policies, standard practices, unspoken rules and guidelines — such as “no overtime,” “promote by seniority,” “smooth over conflict,” and a host of others. Once learned, they are ways of getting along, and new managers use them to get by. Instead of confronting a performance problem, they fill out the compulsory annual appraisal form and simply negotiate the wording with the person involved. They do enough to meet budget because that’s all that’s required of them. Indeed, they stop thinking of what’s possible and focus on what’s expected. They hire people who are good enough and will blend in. They progress to the point that management no longer feels new and strange. When they no longer fear imminent failure, they grow comfortable. They “manage,” in the worst sense of the word. That’s why years of experience are not necessarily an indication of managerial effectiveness. This surely accounts for the wide range of mastery among managers, even those with considerable experience. Based on what we have seen, most organizations have a few great managers, some good managers, a horde of mediocre managers, some poor managers, and some awful managers. Like most of us, you’ve probably had, at one time or another, a boss whose ineptitude made you wonder how someone like that could become or remain a manager. That so many stop short of completing their journeys is hardly surprising given the difficulty and discomfort involved, the time and commitment required, and the limited or elusive sources of help available. Full mastery comes slowly, as with any serious craft, and requires steady progress in a world that keeps throwing up ever more complex challenges and opportunities. We know highly competent managers who consider themselves still learning even after years of experience. It hardly helps that most organizations both fail to provide enough initial help for inexperienced managers and seldom confront the shortcomings of those with experience. Were you a star as an individual performer? If you were a high performer in your work before becoming a manager, you may find the journey into management particularly difficult. Because of their previous success, stars are understandably reluctant to give up the attitudes and practices they think produced their success thus far, and they’re unwilling to change themselves. They don’t know how to develop or coach people because they never needed much coaching themselves, or so they believe. They don’t know how to deal with people who lack their motivation. Because they’ve never failed, they’ve had little practice reflecting on and learning from experience. No wonder many former stars turn into mediocre bosses. If you were a star, be aware that the very success that produced your promotion can now work against you. Former stars or not, most managers stop developing, we suspect, not as a matter of personal and conscious choice. They simply don’t know better. Ignorant of what’s required to be fully effective, comfortable in their roles, and understandably reluctant to undergo sometimes painful personal change, they simply believe they’ve journeyed far enough. How else can you explain the fact that, in study after study, a majority of managers rate themselves “above average” — how can everyone be above average? — and that many bosses in 360-reviews rate themselves more highly as managers than they’re rated by the people they manage. It’s hardly necessary to point out the corporate and personal cost of all this. Poor management directly affects the ability of a company to perform, meet customer needs, compete successfully, and innovate in a changing world. And it limits the ability of managers to have the impact they want, advance in their careers, and satisfy their aspirations. Reprinted by permission of Harvard Business Review Press. 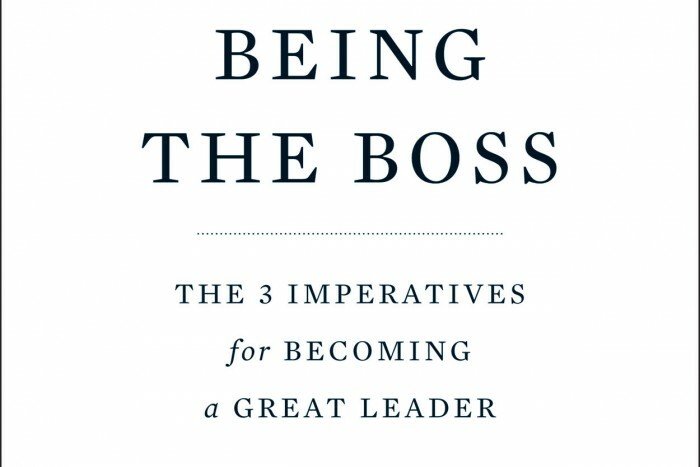 Excerpted from Being the Boss: The 3 Imperatives for Becoming a Great Leader. Copyright 2011 Linda A. Hill and Lowell Kent Lineback. All rights reserved. Linda A. Hill is the Walter Brett Donham Professor of Business Administration at Harvard Business School. She also chairs the HBS Leadership Initiative and is the author of "Becoming a Manager." Kent Lineback is a writer who spent 30 years as a manager in business and government. He is co-author of "The Monk and the Riddle."